Keep Your Car Clean With Our Mobile App! Free wash credit for new accounts! Sign up today and start saving on your next wash. Free wash credit for new accounts in the mobile app for car wash.
With our Share to Earn feature, you can send an invitation to your friends and family directly from the app. The message sent to your contact will help them go to the app store to download the app. The more you invite the more you can earn. Once your invited contact signs up and purchases a wash, you earn credit to your account, which you can use to purchase washes. Sign up today and starting saving on your next wash. Free wash credit for new accounts. Managing your car wash purchases has never been easier. No need to even roll down the window. You will enjoy the ease and convenience of the Touch4Wash payment tools. Touch4Wash is PCI Compliant so you can feel secure when using our tools. At participating locations, you can enjoy the benefit of earning loyalty points as you purchase washes. The more you wash the more points you will earn toward free washes. You need to wash your car. 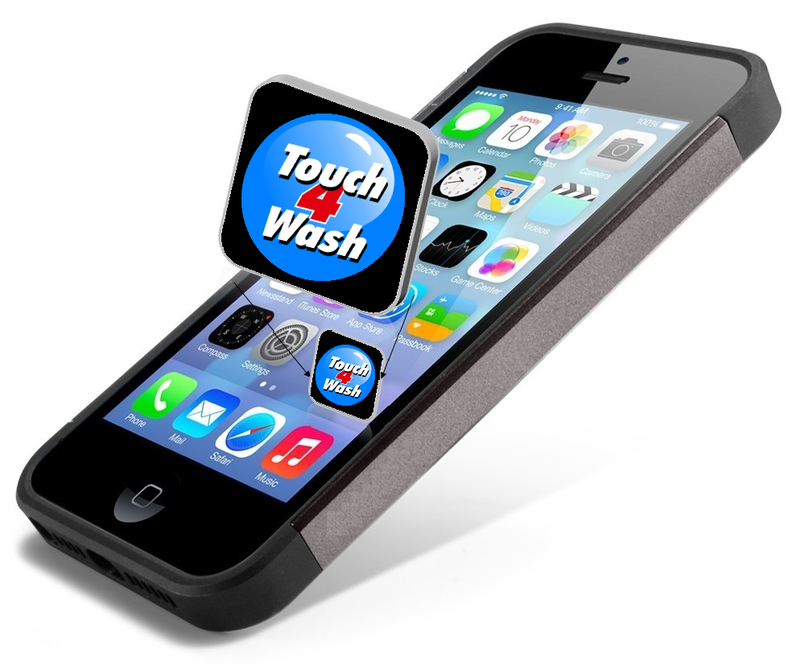 Use Touch4Wash for your next wash and earn. We want your loyalty and we are willing to offer you savings and rewards to keep it. Join today! Remember new users get free wash credit toward your first wash.
Download our mobile app for car wash today and find a location near you.